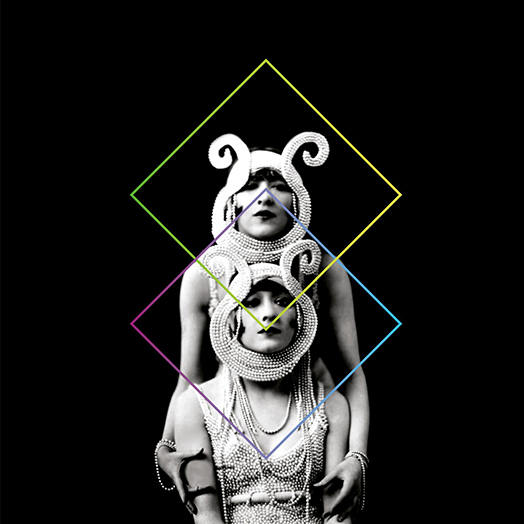 How did your new album ‘Invocation and Ritual Dance of My Demon Twin’ come together creatively? 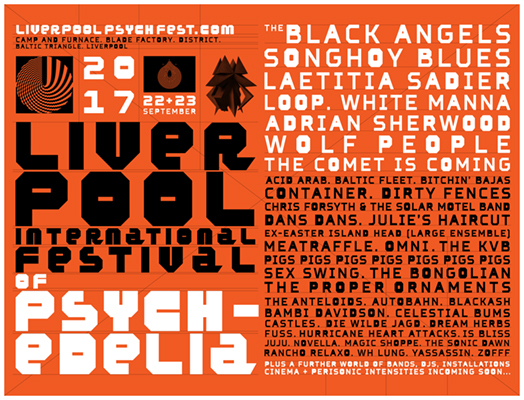 As you know, Rocket are huge fans of Liverpool Psych Fest and we are excited to announce that the great Pigs Pigs Pigs Pigs Pigs Pigs Pigs and Julie's Haircut are playing this years Liverpool Psych Festival. As always, the Rocket team will be there in full force! 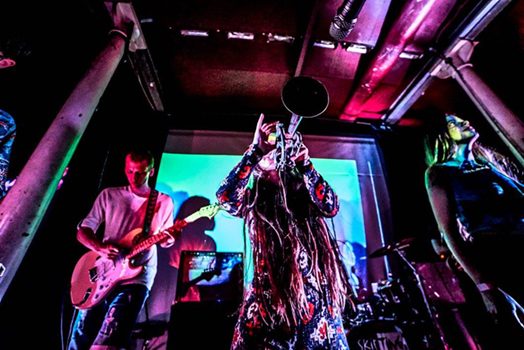 Josefin Öhrn + The Liberation bring their psychedelic swirls to Liverpool Central Library, Getintothis’ Paul Higham loses himself in the patterns. 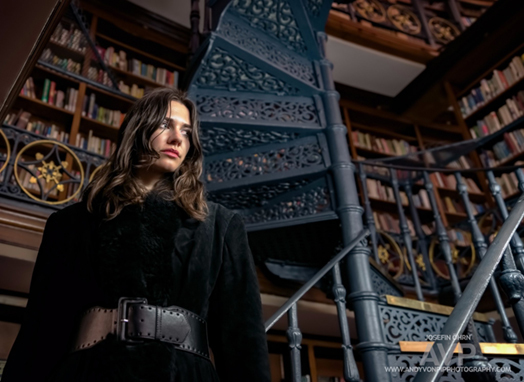 Liverpool’s Central Library makes for a particularly impressive gig venue, and Josefin Öhrn + The Liberation entirely lived up to its splendour with a performance of full of élan, relentless swirls of exuberant psychedelia, and spoonfuls of groove. Watch this great footage of Träd, gräs och stenar live from last week in Stockholm with Hannah from HILLS on drums. 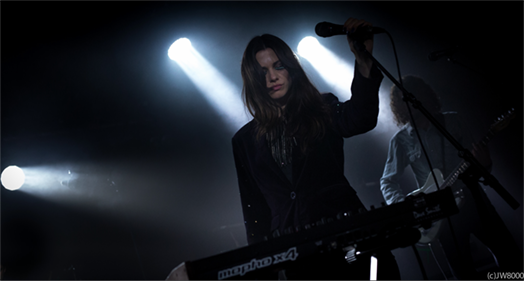 Swedish indie rockers Josefin Öhrn + The Liberation are simply incredible. Creating beautiful shoegaze songs, they have already released two amazing albums, 2015’s debut album Horse Dance and last year’s Mirage. The band have been hailed for their dream-like sound and ambient vibe, creating music that sounds like it descended directly from the cosmos. In preparation of their upcoming tour, the band have just released a reworked version of smouldering Mirage track, ‘Sister Green Eyes’. With tribal-like percussion and Josefin’s haunting vocals, the track is elegant, melodic and wildly compelling. We caught up with Josefin to find out more about the track and what 2017 has in store. Let’s start with a brief excursus of early days of the band, how did you meet? Your first influences and inspirations? Nicola: The band was formed in the town of Sassuolo in 1994 as a trio (Luca Giovanardi, bassist Laura Storchi and me). Among our first influences: american and british alternative rock of the 80s and 90s, but also classic rock from the 60s and the 70s. 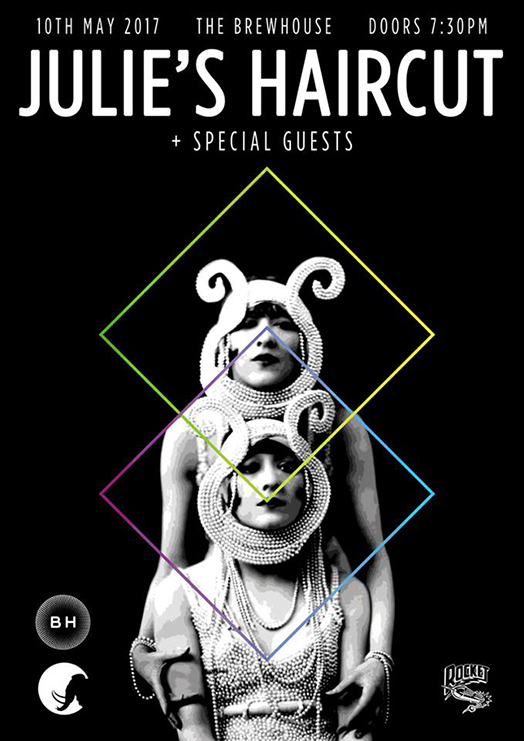 What were the most meaningful moments and records of the Julie’s Haircut history, the ones you’re most fond of? Are there also any tracks you’ve grown particularly close? Nicola: It’s a bit like asking a father which is his favourite son, isn’t it? We’re proud of everything we’ve done, even the less successful things: it’s all part of who we are now. Julie’s Haircut is now well into its second decade and is no signs of fatigue whatsoever. The band’s progression from garage rock infants to krautrock/psychedelic explorers has taken a while and a few line-up changes, but throughout their evolution, Julie’s Haircut could never be accused of being boring and shying away from adventure. Indeed since 2005 they’ve started to use the improvisational techniques utilised by Miles Davis and Can in order to “find” their own songs and their own path. Josefin Öhrn + The Liberation release Sister Green Eyes - the new single today. This is a different version to that can be found on their highly acclaimed second album 'Mirage'. The track also comes with an exclusive bside – a remix of album favourite 'Rainbow Lollipop' by great friend of Rocket, the mighty 'Cherrystones'. Excited to announce that Kuro are going to be playing this years Roadburn. 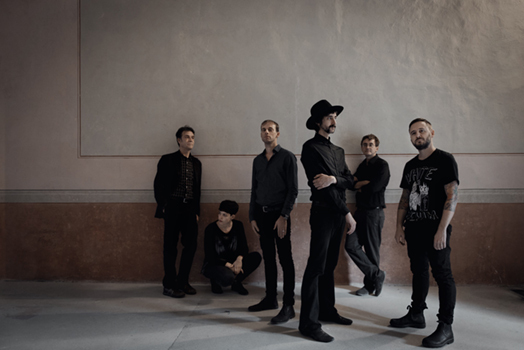 Their collaboration with Gnod as part of their residency has already been announced, but Kuro are also going to be playing their own set as well. 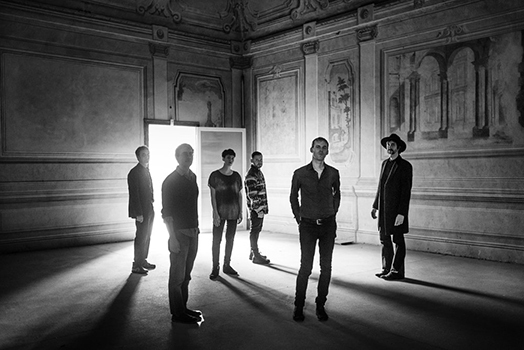 "Julie’s Haircut has been turning any preconceptions about the idea of Italian music on their heads for the best part of twenty years. I remember catching them with Sonic Boom in Bristol some ten years or so ago, and the record they released together at the time expanded minimal psychedelic guitar repetition in two different directions. All these years later, the latest album and their first for the ever-reliable Rocket Recordings finds them with just a toe dipped in the ever-expanding ocean of psychedelic music, but with the rest of their body stretched into ever disparate genres; and this evokes a greater sense of freedom then perhaps would be expected. 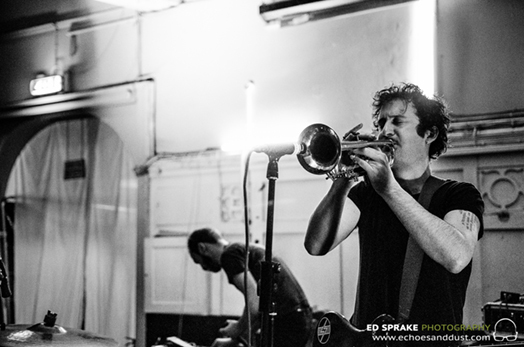 This is the band’s seventh long player and finds them taking the odd cue from Miles Davis and Can, but more in the way that they use space and the sense of freedom that comes from music built with repetition as its base note. The songs are not written in the conventional sense, but emerge from improvisation, the band latching on to the song once it makes itself apparent and this method is perhaps what does lend Invocation And Ritual Dance Of My Demon Twin a sense of wonder..."
Local promoter Wandering Oak have brought plenty of psychedelic treats to Newcastle in recent years, including Cumbrian upcomers The Lucid Dream and Ben Chasny’s long-running, revered project Six Organs of Admittance. 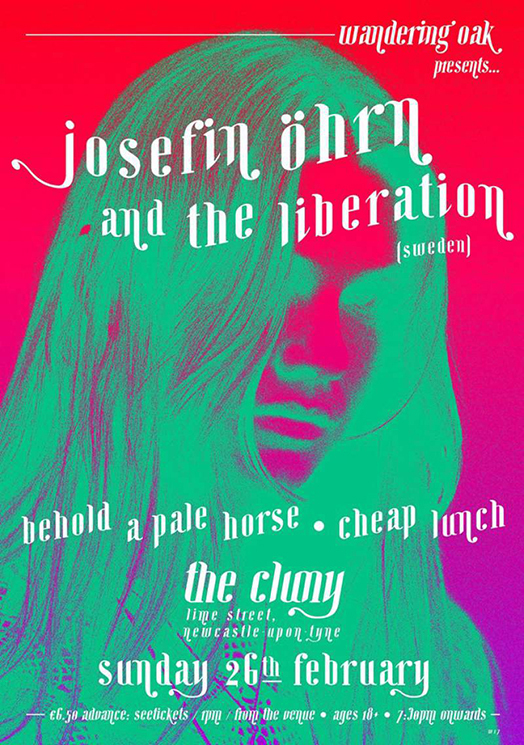 On Sunday 26th February however, they’re hosting one of their most ambitious and remarkable bookings to date as they bring Josefin Öhrn & The Liberation to The Cluny. We're delighted to share the new Josefin Öhrn + The Liberation video, shot by Dom Thomas on CINE film for 'Sister Green Eyes' released on the 24th February. Excited to announce that Jamie Paton is joining Cherrystones as the second support at Josefin Öhrn + The Liberation's sold out show at Moth Club in London. 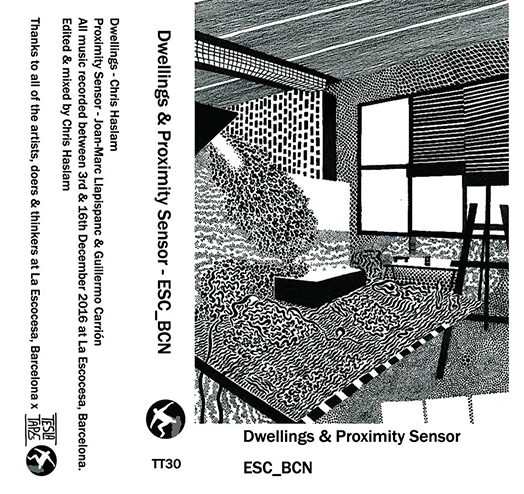 Jamie (who also is part of the Nothing is... collective with Cherrystones, Mike Keeling and Rockets Chris Reeder) releases music on [Emotional] Especial, Hoga Nord, DFA, Dissident and Internasjonal. He is also one half of Cage & Aviary. He is also responsible for amazing remixes of Rocket bands Goat, Gnod and Teeth of the Sea. He is also one half of MƐTƏL, a live improvised modular synth jam, in the company of Mike Bourne from Teeth of the Sea. For this rare live gig he'll be playing a selection of his music, but dragged through the blurred pathways and wrong-turns of the modular synth. Pipe organ performances by Miguel Prado and Ocean Floor. Very limited weekend (£20) and Saturday (£10) tickets available only through Headfirst Bristol, on sale Wed 22nd Feb at 7pm. Friday (£5) and Sunday (£6) tickets available on the door, and through all the usual outlets: www.cacosarco.bigcartel.com / Bristol Ticket Shop / Idle Hands / Crack Magazine. Check out these great photos of Pigs Pigs Pigs Pigs Pigs Pigs Pigs live at Petit Bain, Paris, 04.02.2017. 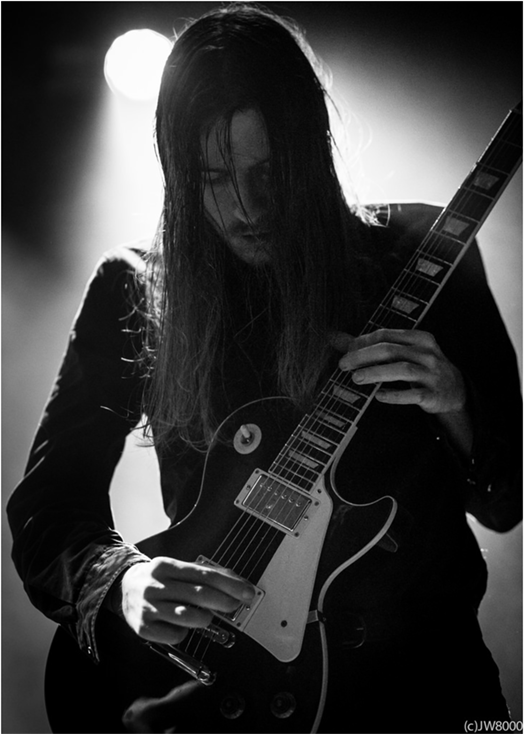 Check out these some photos of Josefin Öhrn + The Liberation live at Cabaret Sauvage, Paris, 14.10.2016 when they were supporting Goat. "Hurry" is the last word I would use to describe Julie's Haircut. From Emilia - how many will be at least twenty years that are in circulation? - Have never suffered from the drive continues and irrational that drives you to want to be somebody. The same one that haunts you to create the perfect album or even just to make a final decision on what kind do. Not at all. To begin with, the times for the output of an LP have been stretched from three to four years. The onset of a foreign label, then, came only in 2017, with an album released for the same Rocket Recordings of the Goat. They could do this before, and maybe they would have gained a greater external visibility (always the lyrics are in English). But it did not, because, as happens more before is the artist and his personal mission, then, the public. Invocation And Ritual Dance of My Demon Twin summarizes a bit 'all you guys have done so far, from the walls of shoegaze guitars of the Deluge (not too) veiled motorik the Zukunft which opens the disc. But we must look at the work as a kind of Best Of dryly that passes through the various natural habitats of Caleffi, Giovanardi and bandwidth. The choice of Emilia was to improve, also adding an excellent Laura Agnusdei and his saxophone training, liquid elements from the dual nature anesthetized type vaporwave (Orpheus Rising) and feverish Evan Parker model (Deluge). Not enough, Julie's Haircut have gradually ceased to "write" songs, but improvising and then extrapolating the idea from the jam recordings. I already imagine them in the rehearsal room. Someone sketching the initial arpeggio of psichedelicissima Cycles and general enthusiasm follows a crescendo of keyboards, bass and vocals. All this, of doing things in the most useful: unhurried. The mighty GNOD deliver one of the first politically charged albums of the year. Ioan Humphreys takes a listen. It is an obviously politically charged album and preview track Bodies for Money is no exception. This has got to be the first of many angry and noisy releases from bands in these depressing, divisional times, surely. Bodies for money is reviewed here. Second track People has a slow build up and the otherworldly noises and excerpts of recording of discussions create a palpable tension. Once the screams of “People!” and “time is running out for people” the song takes on mechanical preachy sound reminiscent of Throbbing Gristles’ brutal Discipline. We are excited to announce that 'Julie's Haircut – Invocation And Ritual Dance Of My Demon Twin' is released in all good record shops today. The album has been picking up some amazing reviews which you can read on previous posts. The first pressing of the LP comes as a ltd edition yellow vinyl. More shows are still to be announced for 2107. Sam Barton from Teeth of the Sea and Hirvikorari is putting his trumpet down for two weeks and is cycling from Lands End – John O’Groats on 13th-25th June 2017 – and he is looking for your help. For all of my 20s and much of my 30s I’ve been your typical London-dwelling struggling punk/noise rock/jazz musician, getting by on low-paid work by day whilst making a racket in bands of varying quality/ambition by night. And whilst I’ve never totally fallen for the “road of excess” myth it’s fair to say that for most of that time my lifestyle and diet have not been those of an ascetic or athlete. Yet somehow the seemingly innocuous gateway drug of purchasing a bicycle years ago (to save money on public transport no less) has led me here, to the brink of undertaking a frankly insane physical challenge: 1000 miles self propelled from end-to-end across Britain in 12 days. How will I manage it? What will the views be like? What are people talking about in The Shires? And, most importantly of all, why the hell am I doing it in the first place? I will hopefully be keeping some sort of diary once the trip is underway so stay tuned to hear exactly how much pain I'm in. 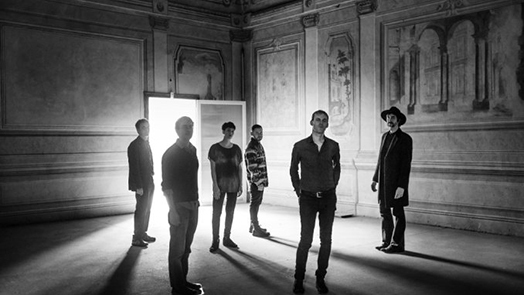 Italian experimental outfit Julie's Haircut are currently in their twenty-third year of existence and can count Sonic Boom, Damo Suzuki and Philip Corner among those who've collaborated with them. So it's no surprise that seventh album – and first for Rocket Recordings – Invocation And Ritual Dance Of My Demon Twin is an aural cocktail that fuses jazz odysseys with fuzz pedal heavy psychedelia, shamanic mantras and haunting melodies. 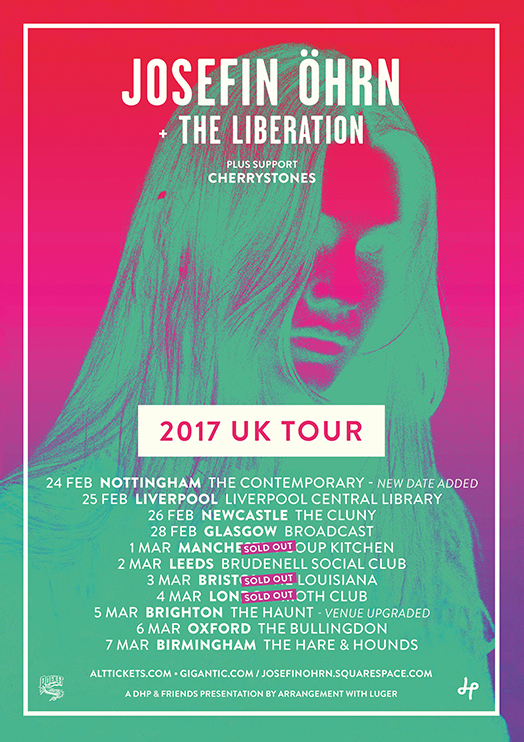 Our good friend and 'Nothing is..,' comrade the mighty Cherrystones is supporting Josefin Öhrn + The Liberation on their forthcoming UK tour. The tickets are selling well and we have been told that most are expected to sellout. So if you don't have a ticket, get one sharpish!! 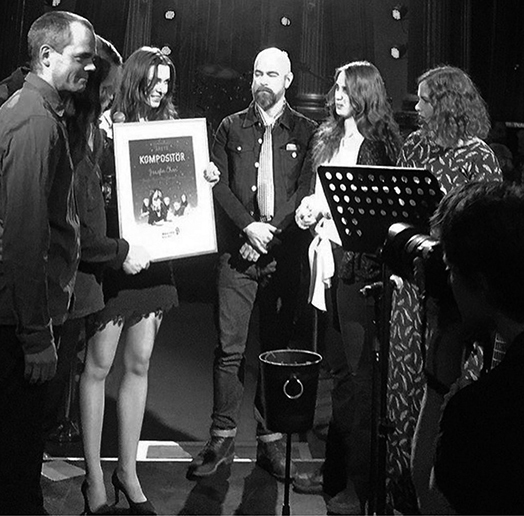 Massive congratulations go to Josefin Öhrn + The Liberation as they won 'Composer of the Year' for their album Mirage at The Manifest Awards in Sweden put on by SKAP. We are so chuffed they won this as it is much deserved for all the hard work the band have put into the release of their two albums in two years. 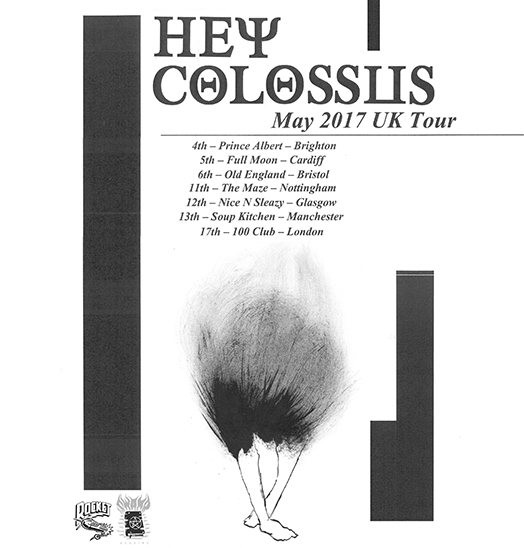 The band are touring UK in a few weeks, make sure you don't mis them! Following last year's EP 'Sista Valsen', Swedish collective Flowers Must Die have a new album 'Kompost' due on April 28 via Rocket Recordings, and its first single 'Hit' is just that. 'Hit' is a heady sonic mix of psychedelic krautrock woven around techno shapes and disco influence and angular post-punk pop. It shouldn't work on paper, in theory this is just a big fat wonder. Play and replay. The band are playing a handful of shows in Sweden and UK in April. 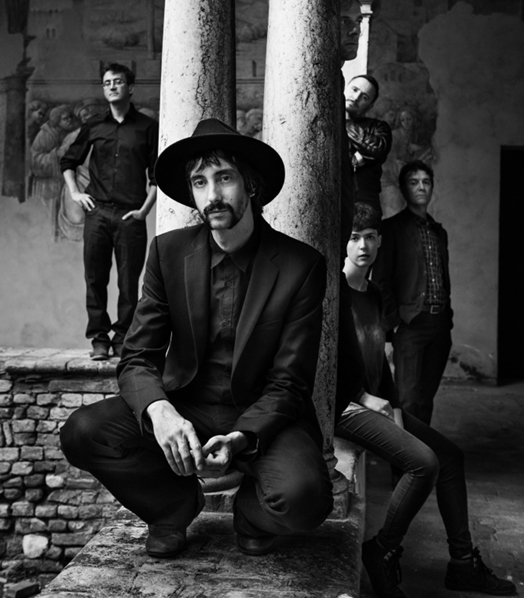 Rocket Recordings signed band Gnod have a brand new album right on the way. It’s a bolshy, aggressive and defiant release packing more than a few messages. With that in mind we caught up with the band. Gnod have been pooled into the ‘British krautrock’ genre what are your thoughts on this? Gnod is made up of a core of four to five heads, the rest of the players come and go with every tour or album. We have worked this way since our inception. As far as influences, it really is hard to say because there are so many. The best way to find out as a listener is to listen to our vast discography and make up your own mind about that. We don’t really identify ourselves with a particular genre. From The Doors onwards, the spirit of freewheeling jazzy improvisation in rock music has been both a blessing and a curse. 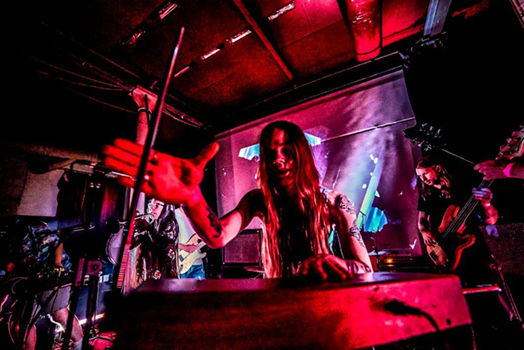 At its best, especially in the work of its German proponents, but also The Grateful Dead, Pink Floyd and – slightly further down the scale – Hawkwind, it’s immersive like no other music, revealing celestial vistas of the unconscious mind while never relinquishing the essential beat-based nature of rock music. At its worst, it’s flat, lifeless and paralysingly boring. There is rock of both kinds on Invocation… but thankfully it’s weighted heavily towards the former. When Julie’s Haircut get it right, they really get it right. 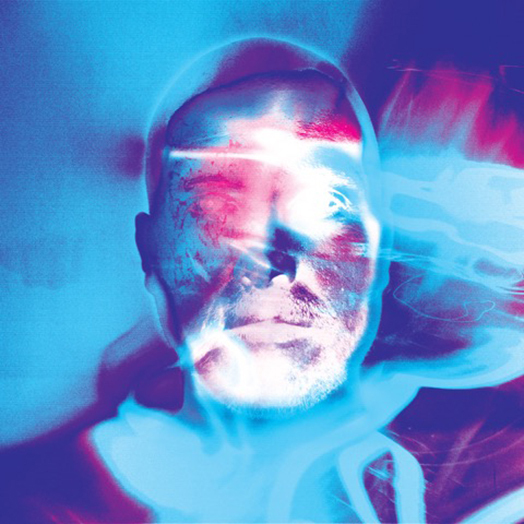 Zukunft motors the album into life brilliantly, driving and dynamic but mellow, with pulsating bass and Can-like percussion perfectly balanced by nocturnal organ tones, beautifully judged sax, minimalist guitar and understated spacey noises. It’s timeless, immersive space-rock of a very high order. 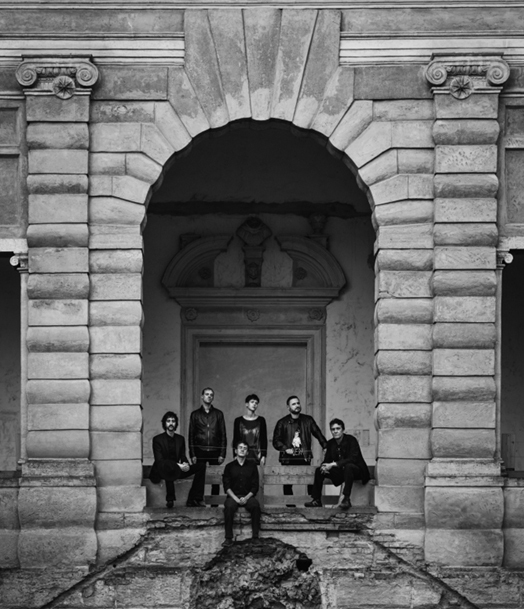 By contrast, some of the Can-like vocal tracks are slightly less successful, the hushed chant of The Fire Sermon rendering the music repetitive without quite managing to capture the groove it hints at. It’s not all spacy though; the funky, foreboding Orpheus Rising is drenched in late 60s countercultural atmosphere and is hypnotic in an entirely different, Black Widow-like way, while elsewhere there are shades of Vangelis, Spacemen 3, Amon Düül II and even Miles Davis; a heady brew indeed. 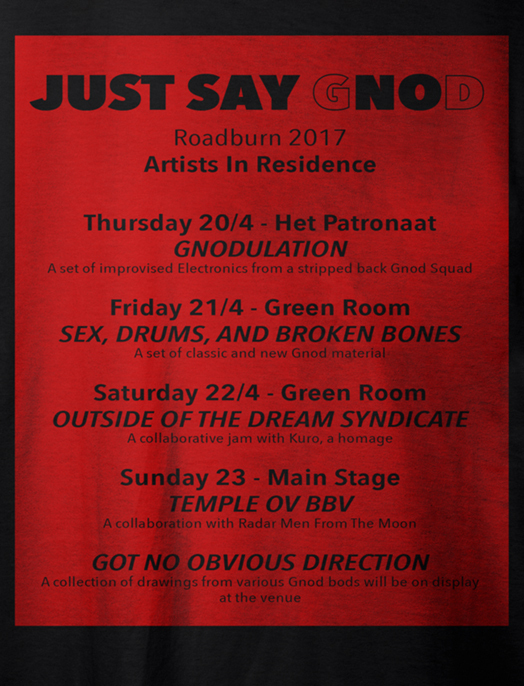 The Gnod tour gets bigger..
Last year we announced psychedelic, arnarcho, sonic pioneers GNOD as our 2017 artist in residence. 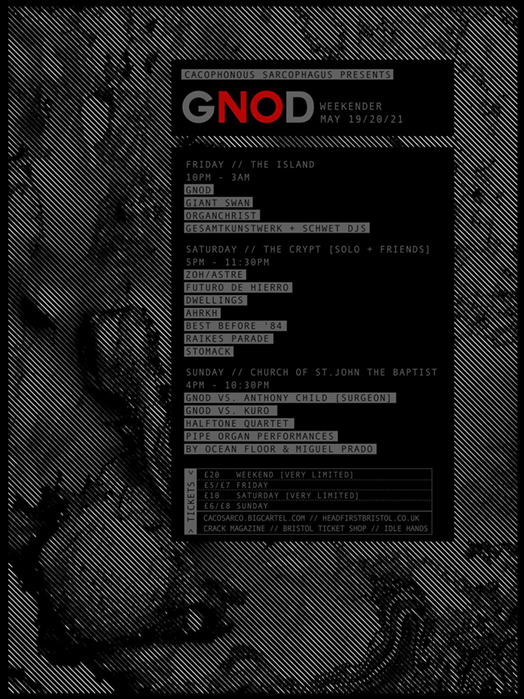 As the Gnod-fog starts to clear a little, we can now bring you a bit more information about the shows they will perform as part of their residency. 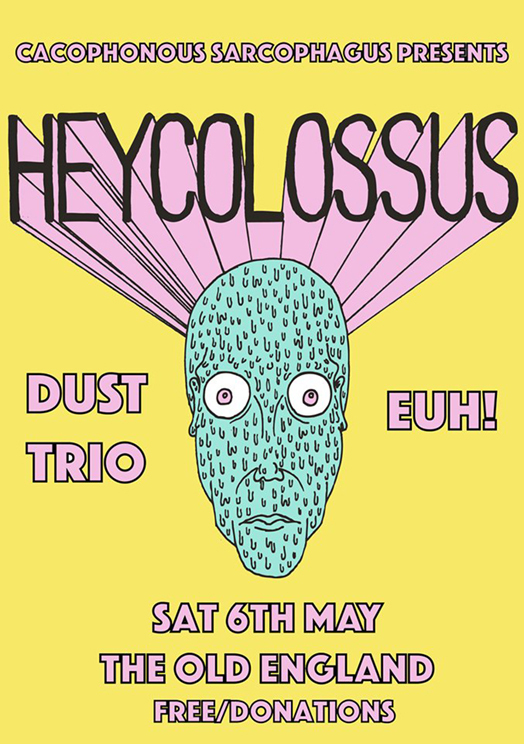 They’ll kick off with an improv set, called Gnodulation focussing on their electronic offerings, with a stripped back band. 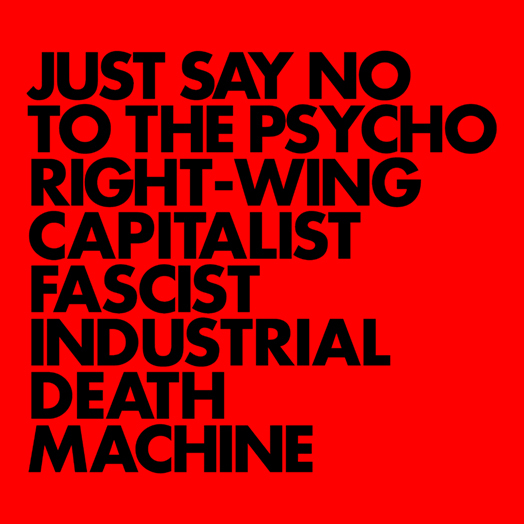 On Friday, they’ll be delving into the past for some classic Gnod material, but also keeping it current with tracks from their upcoming new album 'Just Say No To The Psycho Right-Wing Capitalist Fascist Industrial Death Machine’. Outside of the Dream Syndicate is the title of their collaborative jam session with Kuro on the Saturday. And they’ll round out the weekend with Temple of BBV - a collaboration with Radar Men From The Moon. 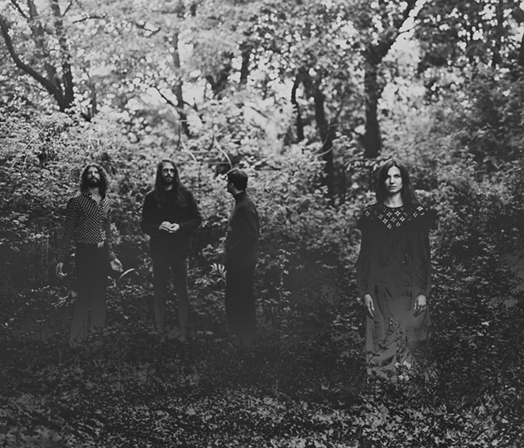 Prior to their first sonic ritual at Eindhoven‘s 2016 Psychlab, Temple ov BBV recorded an album, which hopefully will see the light of day at Roadburn 2017 – it would be a fitting testament to GNOD‘s tenth anniversary celebrations at this year’s festival. In addition to this, there will be artwork on display at the 013 venue by various Gnod-bods, throughout the weekend. On Sunday night the radio show “Battiti” on Rai Radio 3 will broadcast a live recording of our show in Rome from last october. 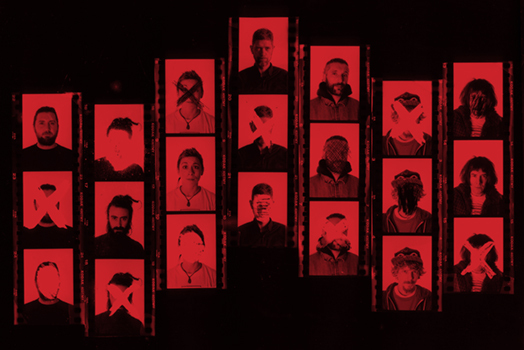 Rai 3 is the third channel of the italian national radio (like BBC 3…) and Battiti is an extra-cool show devoted to avant-garde, experimental music. The show is on at midnight (Italy time), then will be available as a podcast.